April | 2009 | Wir sind bettler. Hoc est verum. This is a response to the article “Have the Spiritual Gifts Ceased” which is a response to my article Cessationism is it True?. First I want to thank Eric for taking the Continuationist position even if it doesn’t describe him completely, his playing of devil’s advocate is helpful for both us and everyone else to get a better view on this important subject. I appreciate any challenge to my beliefs, and writings because the end result can only be a better position, and a more precise argument. This entry was posted in Religion on April 16, 2009 by coramdeo. This entry was posted in Religion on April 14, 2009 by coramdeo. This is a continuation of my blog on the Hitchens, Craig debate at Biola, you can read it here if you like. In this blog I will deal with some of Hitchens “reasoning’s” because I feel that Craig did not adequately deal with them, this is by no means a slight on him, no man is perfect and can deal with every point in a debate, and Craig did better in that debate than I have ever seen a Christain do against Hitchens, and I totally admire the man. This entry was posted in Philosophy on April 9, 2009 by coramdeo. 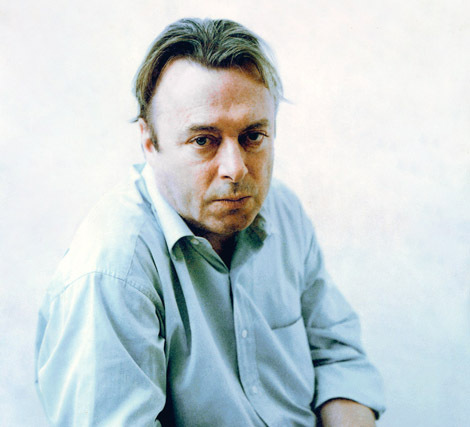 I was at the debate between Hitchens and Craig at Biola and this is a good blog on the subject, although I disagree with his conclusion, you should check it out. The author claims he believes that Hitchens won the debate, not from a fact or even debate point of view, but from an emotional point of view. He thinks the crowd favored Hitchens and was most convinced by him. Now I do not know where to begin with this, but I have a few thoughts: either this author is weak minded and is very emotional, which I doubt, or the general population has generally gone mad, or I am completely wrong on my judgment of people. What I mean is either this author was convinced of Hitchens points, or people leaned more towards his rabbit trails and insults than facts, or people could actually see who truly won the debate even if they don’t want to admit it. This entry was posted in Blog on April 8, 2009 by coramdeo. “I’m born gay”. Have you ever heard this said? I have and it doesn’t mean what you think it does, or what they think it does too. Do not be fooled by this argument, it is attempting to “trick” you into sympathizing and using your emotions to judge and not your head. What they are saying is this: “I am born gay, I cannot help how I am born, it is out of my choice, thus who are you to judge how I was born?” or “If I am born this way, it must be ok”. Both of these really, truly miss the point, and I can point that out with a simple analogy. What if I told you I was born a murderer? What if I had the murder’s DNA code? I can’t help it, that’s how I was born. So, then it must be ok for me to murder, and you cannot say its not, because this is how I was born. Do you guys see the problem with that? What if I take it farther and say that I have the gay murder’s DNA code? Would that be ok? What if I have the gay hater’s gene? Would that be ok? 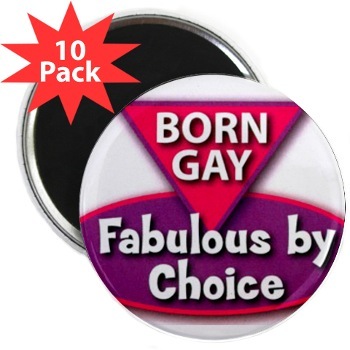 According to the “I’m born gay” argument, all these would be ok. This entry was posted in Blog on April 7, 2009 by coramdeo. Ok before you all stone me please hear me out, I think there is a good argument for government intervention into businesses. Now I would do argue that in a perfect world, the government should stay out of business except for a few broad rules and standards. However, like I have argued before, people are evil by nature and will take advantage of others if allowed to. Now many people argue that no one should complain about wages that companies pay, they argue, “well the employees are agreeing to work for those wages, so whats the problem?” I say, “plenty of things”. What this statement by many people assumes is that the workers are educated, emotionally stable, and know the market. This entry was posted in Blog on April 6, 2009 by coramdeo. Greedy Capitalists are like the dog who bites the hand that feeds them. They have made their wealth through Capitalism, but now their greed threatens to destroy the very system that mothered them. They are like those people who use their freedom of speech to fight against the freedom of speech, they are destroying the very system that let them become what they are, and they do not realize it. I plead with the CEO’s of large companies. Please watch your greed don’t you know that bigger your company gets, the more it makes, the more you make, the more you abuse employees, the more you exert power in the market place, equals more you are turning people against Capitalism? Any injustice that your company or you seem to commit is being leveled against Capitalism. People are not smart enough to see that Capitalism is not to blame for you getting $100 million bonuses while your employees are laid off or are paid below the living wages, but that your greed is. So your greed will not only destroy you, it will destroy the system that created you, you are in essense killing your own mother. The wealth that your mother enabled you to create, is now choking her to death by your greedy hand. As I was thinking about Wal-Mart and what to do with such a company as that, I started thinking about Capitalism and here are some of my thoughts. Capitalism works period. Capitalism allows people the freedom to acquire and keep personal property, to use their talents to succeed in life and to better their circumstances. Capitalism has taken literally hundreds of millions from poverty as Greenspan as said. So why are we so dissatisfied with it as Americans that we keep looking for socialistic solutions? The answer I believe lies with God and morality. When we leave God as our moral judge and His moral standards as our guidelines, we no longer know how to live, or are afraid of what we do. When everyone does what is right in their own eyes, evil and injustice will run rampant. Capitalism does allow people great opportunity for evil, but so does every other system. The biggest evil in Capitalism seems to be greed, and the biggest evil in Socialism is injustice, but there is a mix of both in both. Why? Because men are evil by nature and when unrestrained by moral standards, run amuck. Now I do not like to be a doomsayer, but I think Wal-Mart, the great success story of Capitalism, will ultimately be the noose that hangs it. I will be the first to say: “Capitalism works” I believe history shows us that there is no other system on economics which creates the freedom, wealth, and “happiness” that capitalism does. Capitalism’s results may not be perfect, but it’s not because the system is flawed, but because humans are flawed and tend towards sins of greed, lust, and the like. 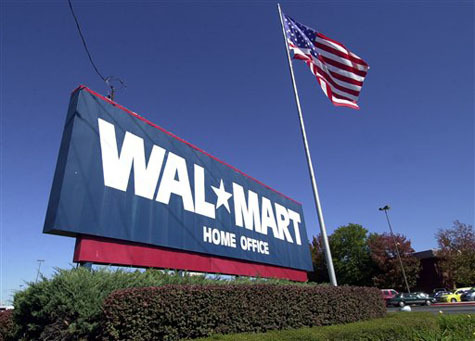 Wal-Mart is no doubt a success story for Capitalism, for it effectively used the free market to create one of the world’s largest companies and make its owners more successful than the founders of Microsoft put together, at least according to George Miller’s essay “Wal-Mart Harms Americans”. However, to me these facts are unimportant, what is important is that Wal-Mart is huge, has tons of employees and arguably mistreats said employees. Now it is no secret that Wal-Mart doesn’t pay its low level employees very much, and that many of them are not allowed to work full time, so that Wal-Mart doesn’t have to pay for their benefits. Now I do not think these employees were duped into working there and have decided to do so under their own freewill, and can leave at any time, so my problem isn’t namely in that. That’s how the system works, people offer jobs and people accept jobs when the terms work for both. My problem with Wal-Mart is with the long term effects will be on the wages they pay and the power they have over manufacturers and wholesalers. 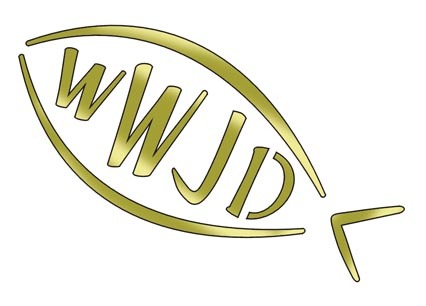 WWJD has been known as the statement: What Would Jesus Do, and has been surrounded by controversy. Should we use such a saying, or shouldn’t we? Is it Biblical? I would argue that we shouldn’t say What Would Jesus Do but rather say Why Would Jesus Die. What Would Jesus Do is not Biblical in how it is used. Most people use it to “help” them live life and decide what to do in circumstances. Although on the surface one would argue that doing what the perfectly righteous man did would be a good thing, I would argue that it is not Biblical nor how God wants us to think about life. If we go around asking ourselves What Would Jesus Do we decieve ourselves in two ways. First we are delusional in thinking that we can do what Jesus would do. We are corrupted in nature and our very good works are filthy rags. 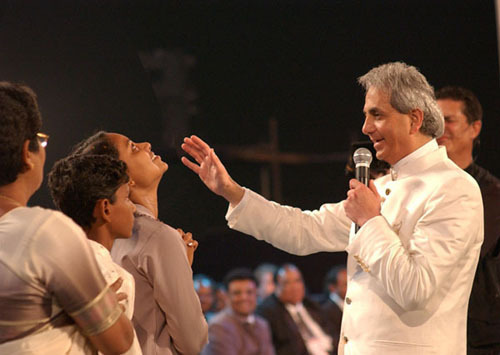 We cannot heal people on a whim, we cannot resist sin completely, we cannot raise the dead or cast out demons on a whim. Jesus did all these things in His own power and authority, we cannot claim such power and authority in ourselves for we are not God.